My original review of Thor: Ragnarok from October 2017 is here. 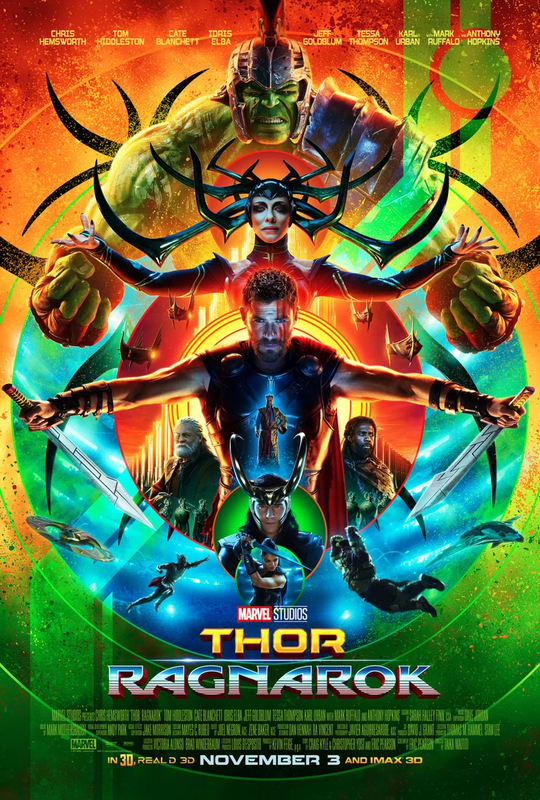 Imprisoned on the planet Sakaar, Thor (Chris Hemsworth) is reunited with the Hulk (Mark Ruffalo) but he must find a way to escape and return to Asgard, where Hela (Cate Blanchett), the Goddess of Death, is set to takeover. Thor: Ragnarok is a weird and wonderful comedy superhero film. It’s bright and colourful, with wacky characters, costumes and settings. It’s very different to the previous Thor films which can be a little jarring but once you accept that it’s showing a different side to these characters, it’s a fun ride. It’s the characters and their interactions that makes Thor: Ragnarok. Loki (Tom Hiddleston) is back and once again you’re not entirely sure if he can be trusted, but through his conversations with Thor you see a different side to their relationship. There’s so many moments in this film where you can see their history and how they really are brothers who have grown up together. Valkyrie (Tessa Thompson) is a hard-drinking scavenger and a really interesting new character. Her banter with Thor, and playfulness with the Hulk are unexpected but great. When Thor, Loki, Valkyrie and Hulk (and also Bruce Banner when he makes an appearance) are together, or any combinations of thereof, their chemistry is clear to see. The action sequences are a lot of fun and exciting. Seeing Thor and Hulk battle is a real joy to watch while the battle for Asgard between Thor, his companions and Hela is one of the best third acts in a Marvel movie. It’s funny, compelling and has a fair few unexpected moments. There are some uneven moments in Thor: Ragnarok when it comes to balancing the comedy with the drama. Mostly it works, but a couple of times a joke undercuts the emotion of a scene when is a shame. Thor: Ragnarok is a lot of fun. It’s bizarre but still manages to have some of the best character development we’ve seen for Thor for ages. It also has more serious themes like colonialism and refugees, while still being very funny. 4/5. You can read my original review of Guardians of the Galaxy Vol. 2 from May 2017 here. 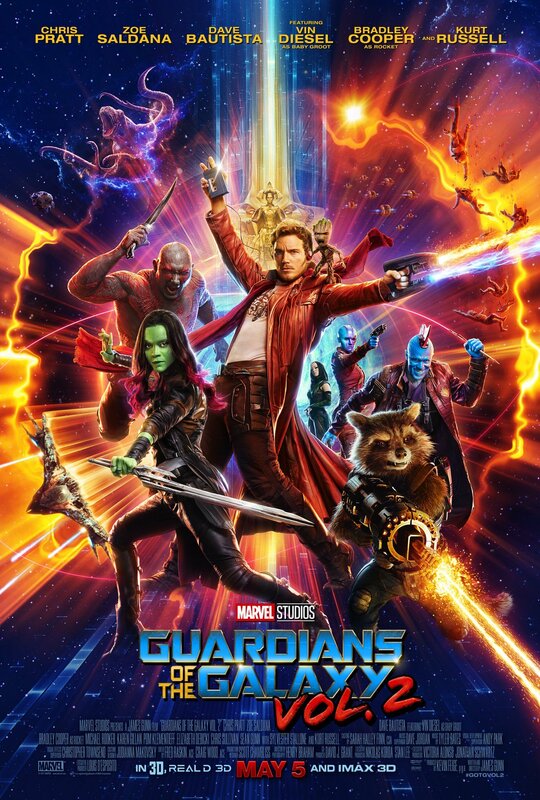 The Guardians are using their fame to make money, when Peter Quill’s (Chris Pratt) father Ego (Kurt Russell) arrives in their lives. 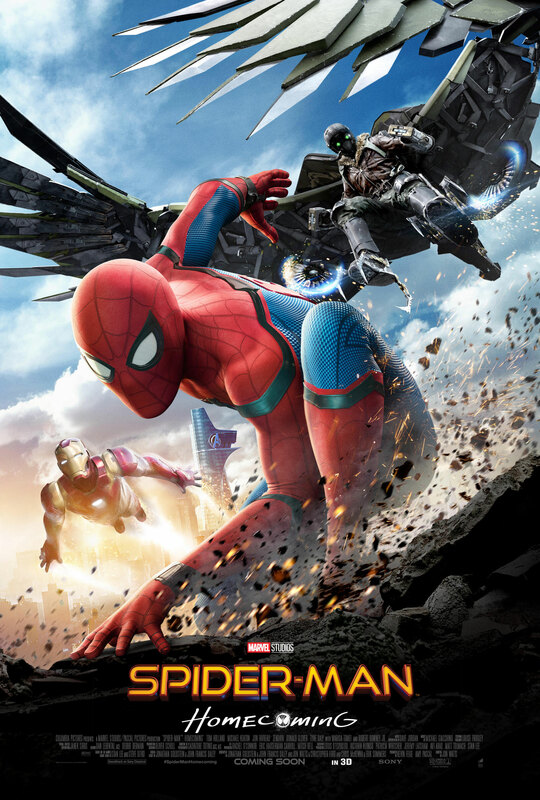 The Guardians struggle to keep their newfound family together as they attempt to unravel the mystery of Peter’s father. Guardians of the Galaxy Vol. 2 is a bright, fast-paced adventure. The planets, characters and costumes are all vibrant and unique to where they are in the galaxy. This film really does show the scope of the universe these characters are travelling around in as you get a sense of distance between planets, and what it means to jump from one to another. While there’s still a lot of jokes in Guardians of the Galaxy Vol. 2, though not all of them hit the mark, the actual story and insights into these characters is quite sad. This team of unlikely heroes are slowly becoming attached to one another, and so many of them are unsure of how to deal with that. Rocket (Bradley Cooper) pushes people away, constantly having to compete with Peter and antagonising everyone in order to get a reaction. While you knew that Drax’s (Dave Bautista) family had been killed from the first film, through Mantis (Pom Klementieff) you get to see past his stoic appearance and see the pain and sadness he’s constantly carrying around inside him. There’s so many moments between various characters where as they’re shouting at one another, they reveal how they’re really feeling, and how they in fact care about or understand the other person. These moments give Guardians of the Galaxy Vol. 2 layers as beneath all the colours, jokes and space battles, there’s these broken characters who are slowly becoming a family. Guardians of the Galaxy Vol. 2 is a lot of fun with great action sequences, but perhaps because the first film was such an unexpected delight the sequel doesn’t quite hit the same levels of greatness. 3/5. 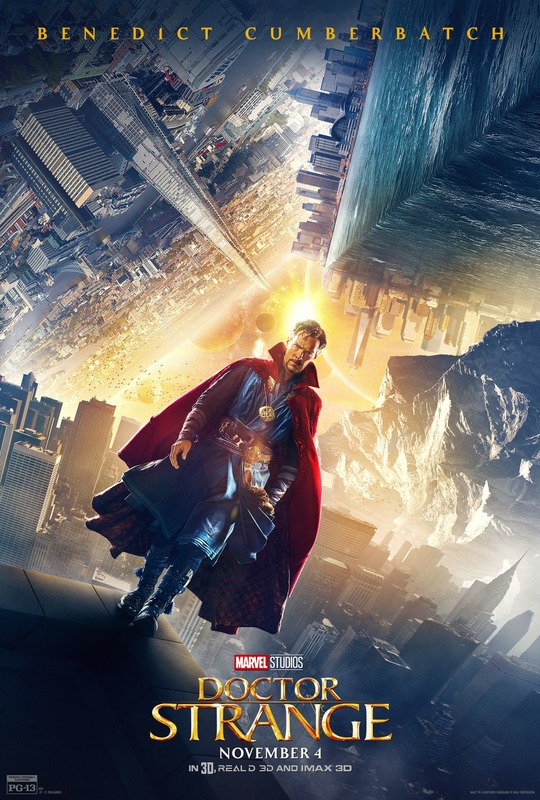 After an accident that permanently damages his hands, neurosurgeon Doctor Stephen Strange (Benedict Cumberbatch) travels the world in search of healing. He’s drawn into the world of the mystic arts and is taught the sorcery skills and the path to enlightenment by the Ancient One (Tilda Swinton) to protect the world. Stephen Strange is a brilliant surgeon but an incredibly arrogant and rude man. His relationship with fellow doctor, Christine Palmer (Rachel McAdams), is strained due to his superiority and it only get worse as he refuses to accept that his career as a leading neurosurgeon is over. Strange isn’t a likeable character and while he does go on a journey and changes, he’s still not a particularly pleasant guy. Doctor Strange is an origin story, and an origin story that is very similar to that of Tony Stark (Robert Downey Jr.) in Iron Man. However, Cumberbatch lacks the humour and charisma of Downey Jr, which means that Strange feels like a very bland hero. Humour and Cumberbatch don’t really work together, in fact the only moments of humour that really land in Doctor Strange are when McAdam’s Christine is performing surgery while a magical battle is happening around her. The bad guy in Doctor Strange is Kaecilius (Mads Mikkelsen), a sorcerer who’s got dark plans. He seems like an interesting antagonist, especially when he has a dialogue with Strange, but unfortunately you don’t get to see him that much – he’s there for a fight scene and then disappears until the next one. Doctor Strange has some incredible visuals. While there’s a fair bit of exposition to introduce the concept of multiple dimensions and the astral plane to the Marvel Cinematic Universe, when you get to see characters interact with and move between these dimensions, it’s stunning. Characters can bend reality to their will, leading to mind-bending visuals. It’s like a city is inside a kaleidoscope, and as the city folds into itself, characters are fighting with magic while contending with the constantly moving environment. The performances are generally decent but not great unlike the spectacular visuals – but a great-looking film doesn’t make a great film. There are moments of wonder and excitement in Doctor Strange, but otherwise it’s not that memorable. 2/5. My original review of Avengers: Age of Ultron from April 2015 is here and my spoiler-filled rambling thoughts on the film from May 2015 are here. I only reread both these posts after I wrote my MCU rewatch review. 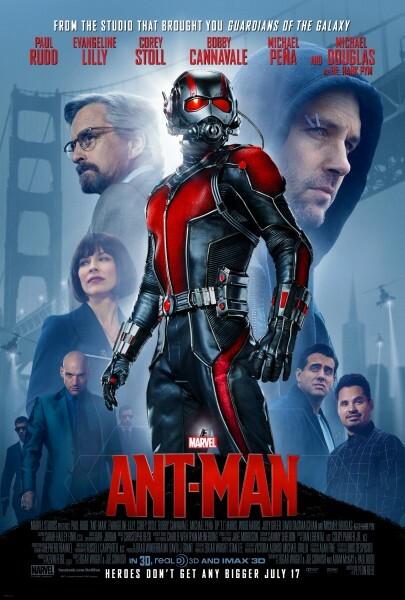 Tony Stark (Robert Downey Jr.) and Bruce Banner (Mark Ruffalo) attempt to make a peacekeeping AI named Ultron, but Ultron (James Spader) has its own ideas of what peace on Earth should look like and the Avengers must stop him before he can enact his deadly plan. 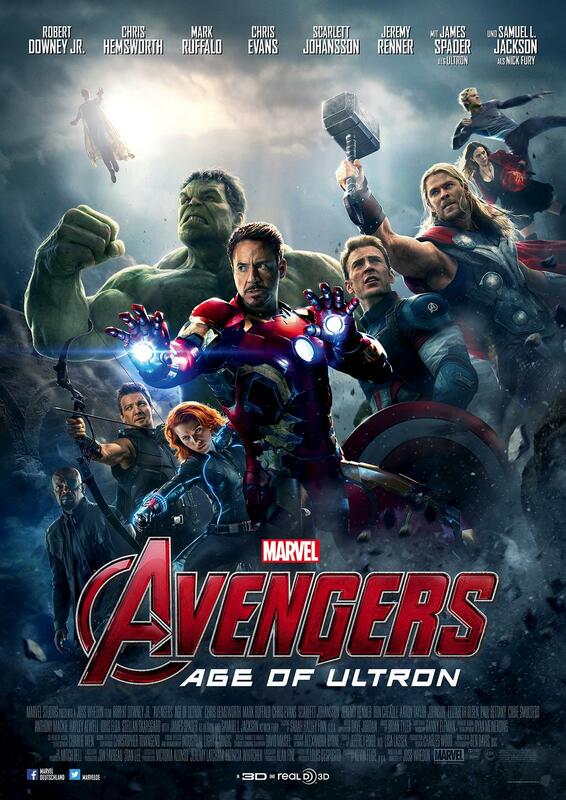 Age of Ultron has a lot going on and not all of it is cohesive. It feels like a lot of things crammed into one move. There’s the introduction of the twins, Pietro (Aaron Taylor-Johnson) and Wanda (Elizabeth Olsen), two characters that present interesting powers, but you never learn more than what’s on the surface with them, especially Pietro. There’s also a lot on infighting in the Avengers team, while some events in the film certainly cause this, there’s also the sense that a lot of them don’t feel like a solid team or even a group of people that like each other. 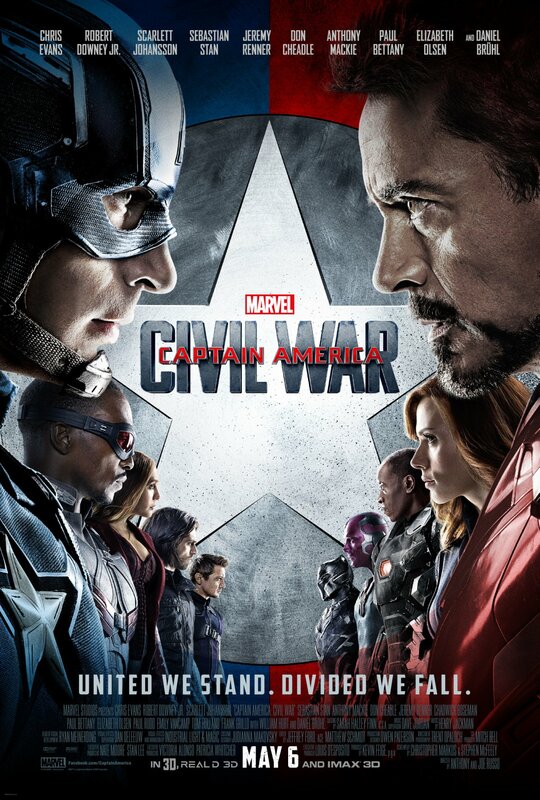 Side by side with the infighting is a surprising romance that is painful to watch – it feels like once the powers that be gave Clint (Jeremy Renner) his secret family, that Natasha (Scarlett Johansson) couldn’t possibly not have a romantic subplot and paired her up with the only other Avenger who didn’t have someone they loved. Then there’s Thor (Chris Hemsworth) who’s pretty redundant to the main plot of the movie and has his own sub-plot which is basically to give the audience a crash course in the Infinity Stones. Age of Ultron is written and directed by Joss Whedon, the guy who did such a great job with The Avengers and had a decent take on each of the characters in that film. However, a lot of the characters development we’ve seen in various films between these two Avengers movies is just forgotten. Some elements make sense like Tony’s paranoia about aliens and protecting those who he cares about, but straightaway in Age of Ultron you see he’s built a load of robots when he’d partly dealt with his trauma by blowing all his suits up. Also, Steve (Chris Evans) often feels like a caricature of Captain America which is frustrating as we’ve previously seen the man behind the title so well in Captain America: The Winter Soldier. The same can be said for Natasha, the version of her you see in Age of Ultron is a massive step backwards from the one in The Winter Solider. She’s still a badass, and while you can obviously have a female character who can fight and fall in love at the same time, the way it’s executed feels rushed and not in-line with what we’ve seen of Natasha’s character previously. The action sequences are great, and the special effects are still top-notch. The humour that’s throughout the film doesn’t always land and sometimes feels like characters are saying a witty one-liner for the sake of it. The stakes in the final battle do feel high and you want both civilians to be safe and the heroes to succeed and survive, though I feel like a lot of that’s thanks to typical genre conventions and pre-existing affection for the characters rather than because of the characters as they’re shown in this film. The stuff I really like in Age of Ultron are pretty much anything to do with Clint, surprise family and all, and Wanda. The way the film sets up their relationship is fascinating to me and I’m pleased that so far, those in charge of the MCU have continued to work with their dynamic. When it comes to pretty much anything else in this film, I’m either ambivalent towards it or actively dislike it. Avengers: Age of Ultron is such a mismatch of themes and story ideas, and it’s a let-down after watching previous MCU movies in quick succession. A lot of characters seem to either take a step back in their development or receive none at all – a potential pitfall with an ensemble cast such as this that Age of Ultron fall right into. 2/5.